Note: This review is intended for our international readers only. Pokerstars does not accept Australian players and Australians cannot gamble online as of September 2017 due to the Interactive Gambling Amendment Bill 2016 coming into full legal effect. If you’re a veteran to the world of online poker, chances are you are already familiar with PokerStars. 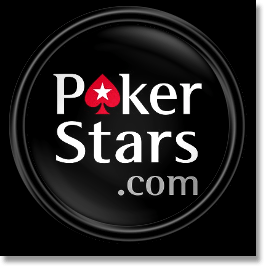 PokerStars is the leading poker site on the Internet, with over 40,000 active users playing at any given time, making it an unrivalled venue for international players to play poker for free or real money. Given the combination of innovative software, cash bonuses and compatibility over a range of desktop and mobile devices, it’s no surprise PokerStars is the preferred online venue for some of the World Series of Poker champions. Whether you are new to poker and just want to get a feel for online play, or an experienced player who’s keen for some cash prizes, PokerStars has a huge range of poker games available to suit all tastes and betting limits. Although a download is required to start enjoying PokerStars huge range of benefits, users can rest assured the download is fast, simple and will only take a few minutes to install. PokerStars software is 100% protected against the Internet’s pesky problems like malware and spyware, so there’s no need to be concerned the download will have a negative impact on your operating system. Software is updated regularly to ensure continual smooth running and flawless gameplay. It’s completely free to download and use. PokerStars award winning desktop software is widely known as one of the best online casino interfaces available on the market. Just a few clicks and within minutes, thousands of real money poker games are at your disposal. PokerStars software can be downloaded to a range of desktop computers (PC and Mac) and laptops using Windows or Apple operating systems, and contains customised themes and a range of different languages. For those who prefer their poker games on the go, PokerStars Mobile Poker App is now available for iOS and Android, bringing the excitement of real money poker direct to your smartphone or tablet. Mobile poker is great for every day entertainment and is especially useful when playing tournaments so you aren’t tied to a chair at your computer. The iOS and Android apps maintain the high visual quality and impressive features of the original desktop software, with a Web Cashier that allows mobile real money deposits. In addition to the standard PokerStars app, there is also a PokerStars Clock app which gives players everything they need to create the perfect tailor made tournament for their group of friends. There are a tonne of games available within each of these popular poker variants, so no matter your betting limit or preferred playing format, be it tournament, Sit n’ Go or cash games, PokerStars has you covered. Omania – for the Omaha lovers out there, these no limit Omaha Hi-Lo and pot limit Omaha tournaments feature affordable buy-ins that start at $5.50. Daily prize pools start at a guaranteed $2.5K, making them popular favourites for lower wager tournament players. Sunday Million – this is the biggest weekly poker tournament available online, and while entry doesn’t come cheap ($215) the chance to win the weekly prize of $1,000,000 certainly makes it worthwhile. Women’s Sunday – this female only tournament happens every Sunday, with a buy in of $55 opening the door to the guaranteed prize pool of $11,000. Play against leading female poker champions like Liv Boeree, Fatima Moreira de Melo and Celina Lin, with the chance to earn extra cash if you knock any of them out of the tournament. This is just a small taste of the tournaments on offer at PokerStars. There’s a new tournament every second, so you never have to wait long to join the fun. Tickets to the more popular events can be purchased in advance to guarantee your place in the game. Entry to tournaments can also be won by playing other poker games, so check each tournament for details. FREE20 – $20 free upon making a real money deposit of $20 or more. Simply enter the code ‘FREE20’ and your account will be credited with an additional $20 within 36 hours, along with a free entry ticket to the $100K Privilege Freerolls game. The ticket allows you to play in up to four tournaments every day for 31 days, for your share of more than $100,000 in cash prizes. STARS600 – this bonus code grants players up to $600 in matched deposit bonuses. This means PokerStars will match whatever amount you transfer over; simply make a real money deposit and enter ‘STARS600’ to claim. There are some terms and conditions to how this bonus works, so make sure to check out the website for the ins and outs. This bonus will also grant you a ticket to the $100K Privilege Freerolls game. Along with these welcome bonuses, PokerStars have a constant stream of exciting promotions on offer to give something back to their loyal players, along with the VIP Club which is one of the most lucrative poker rewards programs available on the Internet. A common concern shared by new online players is there’s no one to turn to when a query arises or it takes too long to receive help through online contact portals – that’s not the case with PokerStars. These guys have support staff available around the clock to make sure players are always taken care of, no matter the nature of the query. If you can’t find the answer you’re looking for in the extensive FAQ section, the dedicated support team will assist you quick as a flash upon receipt of an email or contact form request. Players are never left on the lurch at PokerStars, with techs savvy in all aspects of the site’s operation to ensure all issues and concerns are dealt with quickly and effectively.